Cars-On-Line.com readers are used to hearing the saying, “If you find a nice first generation Ford Thunderbird roadster for under $30,000 … buy it.” That has been their motto for the last ten years or more. But there is one proviso that they insist on … the T-Bird should be a strong No. 3 condition car or better. 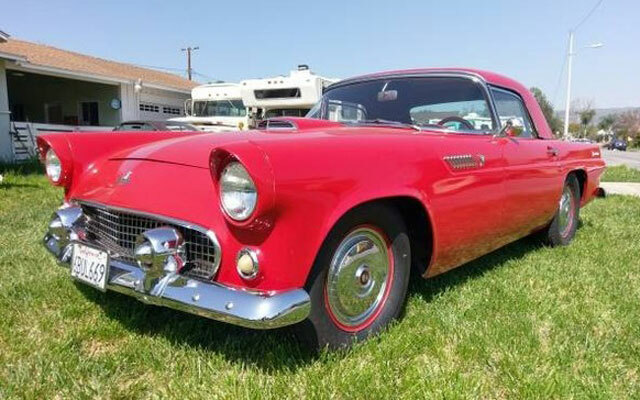 Here is a 1955 Ford Thunderbird being offered for sale by a private seller from Whittier, California. He says it has the original 292 V8 with a 3-speed overdrive transmission. He indicates that it has a very straight body and current tags, and that it runs excellent. The interior is custom modified. He discloses that it has been very well maintained. This is one that should be inspected to verify whether it is a true No. 3 condition car. But hurry! The asking price is very attractive at $21,800. Every week, Cars-On-Line.com gives its readers a preview of the top DEALs of rhe DAY for the coming week. 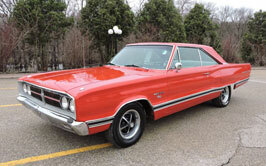 The DEAL of the DAY preview gives you first shot at all the cars that will be highlighted in the popular front page feature on the Cars On Line home page. Often these cars sell in the newsletter before they even make it to the home page! You will always find them previewed in the newsletter first, though. For a sneak peak at all of the coming DEALs of the DAY for next week follow this link to the fresh edition of the Cars-On-Line.com newsletter.